This article is about the human faculty of reason and rationality. For other uses, see Reason (disambiguation). Reason is the capacity of consciously making sense of things, establishing and verifying facts, applying logic, and changing or justifying practices, institutions, and beliefs based on new or existing information. It is closely associated with such characteristically human activities as philosophy, science, language, mathematics and art, and is normally considered to be a distinguishing ability possessed by humans. Reason, or an aspect of it, is sometimes referred to as rationality. Reasoning is associated with thinking, cognition, and intellect. The philosophical field of logic studies ways in which humans reason formally through argument. Reasoning may be subdivided into forms of logical reasoning (forms associated with the strict sense): deductive reasoning, inductive reasoning, abductive reasoning; and other modes of reasoning considered more informal, such as intuitive reasoning and verbal reasoning. Along these lines, a distinction is often drawn between logical, discursive reasoning (reason proper), and intuitive reasoning, in which the reasoning process through intuition—however valid—may tend toward the personal and the subjectively opaque. In some social and political settings logical and intuitive modes of reasoning may clash, while in other contexts intuition and formal reason are seen as complementary rather than adversarial. For example, in mathematics, intuition is often necessary for the creative processes involved with arriving at a formal proof, arguably the most difficult of formal reasoning tasks. In contrast to the use of "reason" as an abstract noun, a reason is a consideration given which either explains or justifies events, phenomena, or behavior. Reasons justify decisions, reasons support explanations of natural phenomena; reasons can be given to explain the actions (conduct) of individuals. Using reason, or reasoning, can also be described more plainly as providing good, or the best, reasons. For example, when evaluating a moral decision, "morality is, at the very least, the effort to guide one's conduct by reason—that is, doing what there are the best reasons for doing—while giving equal [and impartial] weight to the interests of all those affected by what one does." Psychologists and cognitive scientists have attempted to study and explain how people reason, e.g. which cognitive and neural processes are engaged, and how cultural factors affect the inferences that people draw. The field of automated reasoning studies how reasoning may or may not be modeled computationally. Animal psychology considers the question of whether animals other than humans can reason. In the English language and other modern European languages, "reason", and related words, represent words which have always been used to translate Latin and classical Greek terms in the sense of their philosophical usage. The original Greek term was "λόγος" logos, the root of the modern English word "logic" but also a word which could mean for example "speech" or "explanation" or an "account" (of money handled). As a philosophical term logos was translated in its non-linguistic senses in Latin as ratio. This was originally not just a translation used for philosophy, but was also commonly a translation for logos in the sense of an account of money. French raison is derived directly from Latin, and this is the direct source of the English word "reason". The earliest major philosophers to publish in English, such as Francis Bacon, Thomas Hobbes, and John Locke also routinely wrote in Latin and French, and compared their terms to Greek, treating the words "logos", "ratio", "raison" and "reason" as interchangeable. The meaning of the word "reason" in senses such as "human reason" also overlaps to a large extent with "rationality" and the adjective of "reason" in philosophical contexts is normally "rational", rather than "reasoned" or "reasonable". Some philosophers, Thomas Hobbes for example, also used the word ratiocination as a synonym for "reasoning". The proposal that reason gives humanity a special position in nature has been argued to be a defining characteristic of western philosophy and later western modern science, starting with classical Greece. Philosophy can be described as a way of life based upon reason, and in the other direction reason has been one of the major subjects of philosophical discussion since ancient times. Reason is often said to be reflexive, or "self-correcting", and the critique of reason has been a persistent theme in philosophy. It has been defined in different ways, at different times, by different thinkers about human nature. For many classical philosophers, nature was understood teleologically, meaning that every type of thing had a definitive purpose which fit within a natural order that was itself understood to have aims. Perhaps starting with Pythagoras or Heraclitus, the cosmos is even said to have reason. Reason, by this account, is not just one characteristic that humans happen to have, and that influences happiness amongst other characteristics. Reason was considered of higher stature than other characteristics of human nature, such as sociability, because it is something humans share with nature itself, linking an apparently immortal part of the human mind with the divine order of the cosmos itself. Within the human mind or soul (psyche), reason was described by Plato as being the natural monarch which should rule over the other parts, such as spiritedness (thumos) and the passions. Aristotle, Plato's student, defined human beings as rational animals, emphasizing reason as a characteristic of human nature. He defined the highest human happiness or well being (eudaimonia) as a life which is lived consistently, excellently and completely in accordance with reason. The conclusions to be drawn from the discussions of Aristotle and Plato on this matter are amongst the most debated in the history of philosophy. But teleological accounts such as Aristotle's were highly influential for those who attempt to explain reason in a way which is consistent with monotheism and the immortality and divinity of the human soul. For example, in the neo-platonist account of Plotinus, the cosmos has one soul, which is the seat of all reason, and the souls of all individual humans are part of this soul. Reason is for Plotinus both the provider of form to material things, and the light which brings individuals souls back into line with their source. Such neo-Platonist accounts of the rational part of the human soul were standard amongst medieval Islamic philosophers, and under this influence, mainly via Averroes, came to be debated seriously in Europe until well into the renaissance, and they remain important in Iranian philosophy. The early modern era was marked by a number of significant changes in the understanding of reason, starting in Europe. One of the most important of these changes involved a change in the metaphysical understanding of human beings. Scientists and philosophers began to question the teleological understanding of the world. Nature was no longer assumed to be human-like, with its own aims or reason, and human nature was no longer assumed to work according to anything other than the same "laws of nature" which affect inanimate things. This new understanding eventually displaced the previous world view that derived from a spiritual understanding of the universe. 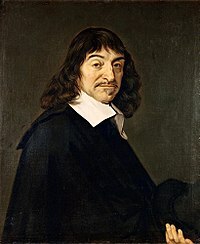 Accordingly, in the 17th century, René Descartes explicitly rejected the traditional notion of humans as "rational animals", suggesting instead that they are nothing more than "thinking things" along the lines of other "things" in nature. Any grounds of knowledge outside that understanding was, therefore, subject to doubt. At this time I admit nothing that is not necessarily true. I am therefore precisely nothing but a thinking thing; that is a mind, or intellect, or understanding, or reason – words of whose meanings I was previously ignorant. This eventually became known as epistemological or "subject-centred" reason, because it is based on the knowing subject, who perceives the rest of the world and itself as a set of objects to be studied, and successfully mastered by applying the knowledge accumulated through such study. Breaking with tradition and many thinkers after him, Descartes explicitly did not divide the incorporeal soul into parts, such as reason and intellect, describing them as one indivisible incorporeal entity. A contemporary of Descartes, Thomas Hobbes described reason as a broader version of "addition and subtraction" which is not limited to numbers. This understanding of reason is sometimes termed "calculative" reason. Similar to Descartes, Hobbes asserted that "No discourse whatsoever, can end in absolute knowledge of fact, past, or to come" but that "sense and memory" is absolute knowledge. In the late 17th century, through the 18th century, John Locke and David Hume developed Descartes' line of thought still further. Hume took it in an especially skeptical direction, proposing that there could be no possibility of deducing relationships of cause and effect, and therefore no knowledge is based on reasoning alone, even if it seems otherwise. Hume famously remarked that, "We speak not strictly and philosophically when we talk of the combat of passion and of reason. Reason is, and ought only to be the slave of the passions, and can never pretend to any other office than to serve and obey them." Hume also took his definition of reason to unorthodox extremes by arguing, unlike his predecessors, that human reason is not qualitatively different from either simply conceiving individual ideas, or from judgments associating two ideas, and that "reason is nothing but a wonderful and unintelligible instinct in our souls, which carries us along a certain train of ideas, and endows them with particular qualities, according to their particular situations and relations." It followed from this that animals have reason, only much less complex than human reason. In the 18th century, Immanuel Kant attempted to show that Hume was wrong by demonstrating that a "transcendental" self, or "I", was a necessary condition of all experience. Therefore, suggested Kant, on the basis of such a self, it is in fact possible to reason both about the conditions and limits of human knowledge. And so long as these limits are respected, reason can be the vehicle of morality, justice, aesthetics, theories of knowledge (epistemology), and understanding. In the formulation of Kant, who wrote some of the most influential modern treatises on the subject, the great achievement of reason (German: Vernunft) is that it is able to exercise a kind of universal law-making. Kant was able therefore to reformulate the basis of moral-practical, theoretical and aesthetic reasoning, on "universal" laws. Here practical reasoning is the self-legislating or self-governing formulation of universal norms, and theoretical reasoning the way humans posit universal laws of nature. Under practical reason, the moral autonomy or freedom of human beings depends on their ability to behave according to laws that are given to them by the proper exercise of that reason. This contrasted with earlier forms of morality, which depended on religious understanding and interpretation, or nature for their substance. In contrast to Hume then, Kant insists that reason itself (German Vernunft) has natural ends itself, the solution to the metaphysical problems, especially the discovery of the foundations of morality. Kant claimed that this problem could be solved with his "transcendental logic" which unlike normal logic is not just an instrument, which can be used indifferently, as it was for Aristotle, but a theoretical science in its own right and the basis of all the others. Aesthetic reason is typically found in works of art and literature, and encompasses the novel ways of seeing the world and interpreting things that those practices embody. For Habermas, these three spheres are the domain of experts, and therefore need to be mediated with the "lifeworld" by philosophers. In drawing such a picture of reason, Habermas hoped to demonstrate that the substantive unity of reason, which in pre-modern societies had been able to answer questions about the good life, could be made up for by the unity of reason's formalizable procedures. Hamann, Herder, Kant, Hegel, Kierkegaard, Nietzsche, Heidegger, Foucault, Rorty, and many other philosophers have contributed to a debate about what reason means, or ought to mean. Some, like Kierkegaard, Nietzsche, and Rorty, are skeptical about subject-centred, universal, or instrumental reason, and even skeptical toward reason as a whole. Others, including Hegel, believe that it has obscured the importance of intersubjectivity, or "spirit" in human life, and attempt to reconstruct a model of what reason should be. Some thinkers, e.g. Foucault, believe there are other forms of reason, neglected but essential to modern life, and to our understanding of what it means to live a life according to reason. For example, in opposition to subject-centred reason, Habermas has proposed a model of communicative reason that sees it as an essentially cooperative activity, based on the fact of linguistic intersubjectivity. Nikolas Kompridis has proposed a widely encompassing view of reason as "that ensemble of practices that contributes to the opening and preserving of openness" in human affairs, and a focus on reason's possibilities for social change. The philosopher Charles Taylor, influenced by the 20th century German philosopher Martin Heidegger, has proposed that reason ought to include the faculty of disclosure, which is tied to the way we make sense of things in everyday life, as a new "department" of reason. Private reason is the reason that is used when an individual is "a cog in a machine" or when one "has a role to play in society and jobs to do: to be a soldier, to have taxes to pay, to be in charge of a parish, to be a civil servant". Public reason is the reason used "when one is reasoning as a reasonable being (and not as a cog in a machine), when one is reasoning as a member of reasonable humanity". In these circumstances, "the use of reason must be free and public." The terms "logic" or "logical" are sometimes used as if they were identical with the term "reason" or with the concept of being "rational", or sometimes logic is seen as the most pure or the defining form of reason. For example in modern economics, rational choice is assumed to equate to logically consistent choice. Reason and logic can however be thought of as distinct, although logic is one important aspect of reason. Author Douglas Hofstadter, in Gödel, Escher, Bach, characterizes the distinction in this way. Logic is done inside a system while reason is done outside the system by such methods as skipping steps, working backward, drawing diagrams, looking at examples, or seeing what happens if you change the rules of the system. Reason is a type of thought, and the word "logic" involves the attempt to describe rules or norms by which reasoning operates, so that orderly reasoning can be taught. The oldest surviving writing to explicitly consider the rules by which reason operates are the works of the Greek philosopher Aristotle, especially Prior Analysis and Posterior Analysis. Although the Ancient Greeks had no separate word for logic as distinct from language and reason, Aristotle's newly coined word "syllogism" (syllogismos) identified logic clearly for the first time as a distinct field of study. When Aristotle referred to "the logical" (hē logikē), he was referring more broadly to rational thought. As pointed out by philosophers such as Hobbes, Locke and Hume, some animals are also clearly capable of a type of "associative thinking", even to the extent of associating causes and effects. A dog once kicked, can learn how to recognize the warning signs and avoid being kicked in the future, but this does not mean the dog has reason in any strict sense of the word. It also does not mean that humans acting on the basis of experience or habit are using their reason. Human reason requires more than being able to associate two ideas, even if those two ideas might be described by a reasoning human as a cause and an effect, perceptions of smoke, for example, and memories of fire. For reason to be involved, the association of smoke and the fire would have to be thought through in a way which can be explained, for example as cause and effect. In the explanation of Locke, for example, reason requires the mental use of a third idea in order to make this comparison by use of syllogism. More generally, reason in the strict sense requires the ability to create and manipulate a system of symbols, as well as indices and icons, according to Charles Sanders Peirce, the symbols having only a nominal, though habitual, connection to either smoke or fire. One example of such a system of artificial symbols and signs is language. The connection of reason to symbolic thinking has been expressed in different ways by philosophers. Thomas Hobbes described the creation of "Markes, or Notes of remembrance" (Leviathan Ch. 4) as speech. He used the word speech as an English version of the Greek word logos so that speech did not need to be communicated. When communicated, such speech becomes language, and the marks or notes or remembrance are called "Signes" by Hobbes. Going further back, although Aristotle is a source of the idea that only humans have reason (logos), he does mention that animals with imagination, for whom sense perceptions can persist, come closest to having something like reasoning and nous, and even uses the word "logos" in one place to describe the distinctions which animals can perceive in such cases. Reason and imagination rely on similar mental processes. Imagination is not only found in humans. Aristotle, for example, stated that phantasia (imagination: that which can hold images or phantasmata) and phronein (a type of thinking that can judge and understand in some sense) also exist in some animals. According to him, both are related to the primary perceptive ability of animals, which gathers the perceptions of different senses and defines the order of the things that are perceived without distinguishing universals, and without deliberation or logos. But this is not yet reason, because human imagination is different. The recent modern writings of Terrence Deacon and Merlin Donald, writing about the origin of language, also connect reason connected to not only language, but also mimesis, More specifically they describe the ability to create language as part of an internal modeling of reality specific to humankind. Other results are consciousness, and imagination or fantasy. In contrast, modern proponents of a genetic predisposition to language itself include Noam Chomsky and Steven Pinker, to whom Donald and Deacon can be contrasted. In classical descriptions, an equivalent description of this mental faculty is eikasia, in the philosophy of Plato. This is the ability to perceive whether a perception is an image of something else, related somehow but not the same, and therefore allows humans to perceive that a dream or memory or a reflection in a mirror is not reality as such. What Klein refers to as dianoetic eikasia is the eikasia concerned specifically with thinking and mental images, such as those mental symbols, icons, signes, and marks discussed above as definitive of reason. Explaining reason from this direction: human thinking is special in the way that we often understand visible things as if they were themselves images of our intelligible "objects of thought" as "foundations" (hypothēses in Ancient Greek). This thinking (dianoia) is "...an activity which consists in making the vast and diffuse jungle of the visible world depend on a plurality of more 'precise' noēta". 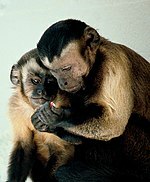 Imitation is found especially in monkeys and apes [... but ...] Mimesis is fundamentally different from imitation and mimicry in that it involves the invention of intentional representations. [...] Mimesis is not absolutely tied to external communication. Mimēsis is a concept, now popular again in academic discussion, that was particularly prevalent in Plato's works, and within Aristotle, it is discussed mainly in the Poetics. In Michael Davis's account of the theory of man in this work. Donald like Plato (and Aristotle, especially in On Memory and Recollection), emphasizes the peculiarity in humans of voluntary initiation of a search through one's mental world. The ancient Greek anamnēsis, normally translated as "recollection" was opposed to mneme or memory. Memory, shared with some animals, requires a consciousness not only of what happened in the past, but also that something happened in the past, which is in other words a kind of eikasia "...but nothing except man is able to recollect." Recollection is a deliberate effort to search for and recapture something once known. Klein writes that, "To become aware of our having forgotten something means to begin recollecting." Donald calls the same thing autocueing, which he explains as follows: "Mimetic acts are reproducible on the basis of internal, self-generated cues. This permits voluntary recall of mimetic representations, without the aid of external cues – probably the earliest form of representational thinking." In a celebrated paper in modern times, the fantasy author and philologist J.R.R. Tolkien wrote in his essay "On Fairy Stories" that the terms "fantasy" and "enchantment" are connected to not only "....the satisfaction of certain primordial human desires...." but also "...the origin of language and of the mind". Looking at logical categorizations of different types of reasoning the traditional main division made in philosophy is between deductive reasoning and inductive reasoning. Formal logic has been described as the science of deduction. The study of inductive reasoning is generally carried out within the field known as informal logic or critical thinking. Premise 1: All humans are mortal. Premise 2: Socrates is a human. The reasoning in this argument is valid, because there is no way in which the premises, 1 and 2, could be true and the conclusion, 3, be false. Induction is a form of inference producing propositions about unobserved objects or types, either specifically or generally, based on previous observation. It is used to ascribe properties or relations to objects or types based on previous observations or experiences, or to formulate general statements or laws based on limited observations of recurring phenomenal patterns. Inductive reasoning contrasts strongly with deductive reasoning in that, even in the best, or strongest, cases of inductive reasoning, the truth of the premises does not guarantee the truth of the conclusion. Instead, the conclusion of an inductive argument follows with some degree of probability. Relatedly, the conclusion of an inductive argument contains more information than is already contained in the premises. Thus, this method of reasoning is ampliative. Premise: The sun has risen in the east every morning up until now. Conclusion: The sun will also rise in the east tomorrow. Premise 1: Socrates is human and mortal. Premise 2: Plato is human. Premise 1: Socrates is human and male. Premise 2: Ada Lovelace is human. Conclusion: Therefore Ada Lovelace is male. Abductive reasoning, or argument to the best explanation, is a form of reasoning that doesn't fit in deductive or inductive, since it starts with incomplete set of observations and proceeds with likely possible explanations so the conclusion in an abductive argument does not follow with certainty from its premises and concerns something unobserved. 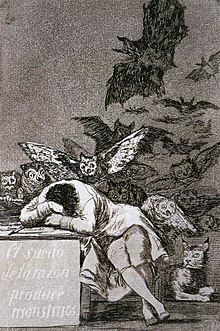 What distinguishes abduction from the other forms of reasoning is an attempt to favour one conclusion above others, by subjective judgement or attempting to falsify alternative explanations or by demonstrating the likelihood of the favoured conclusion, given a set of more or less disputable assumptions. For example, when a patient displays certain symptoms, there might be various possible causes, but one of these is preferred above others as being more probable. Flawed reasoning in arguments is known as fallacious reasoning. Bad reasoning within arguments can be because it commits either a formal fallacy or an informal fallacy. Formal fallacies occur when there is a problem with the form, or structure, of the argument. The word "formal" refers to this link to the form of the argument. An argument that contains a formal fallacy will always be invalid. An informal fallacy is an error in reasoning that occurs due to a problem with the content, rather than mere structure, of the argument. Philosophy is sometimes described as a life of reason, with normal human reason pursued in a more consistent and dedicated way than usual. Two categories of problem concerning reason have long been discussed by philosophers concerning reason, essentially being reasonings about reasoning itself as a human aim, or philosophizing about philosophizing. The first question is concerning whether we can be confident that reason can achieve knowledge of truth better than other ways of trying to achieve such knowledge. The other question is whether a life of reason, a life that aims to be guided by reason, can be expected to achieve a happy life more so than other ways of life (whether such a life of reason results in knowledge or not). Since classical times a question has remained constant in philosophical debate (which is sometimes seen as a conflict between movements called Platonism and Aristotelianism) concerning the role of reason in confirming truth. People use logic, deduction, and induction, to reach conclusions they think are true. Conclusions reached in this way are considered, according to Aristotle, more certain than sense perceptions on their own. On the other hand, if such reasoned conclusions are only built originally upon a foundation of sense perceptions, then, our most logical conclusions can never be said to be certain because they are built upon the very same fallible perceptions they seek to better. This leads to the question of what types of first principles, or starting points of reasoning, are available for someone seeking to come to true conclusions. In Greek, "first principles" are archai, "starting points", and the faculty used to perceive them is sometimes referred to in Aristotle and Plato as nous which was close in meaning to awareness or consciousness. Empiricism (sometimes associated with Aristotle but more correctly associated with British philosophers such as John Locke and David Hume, as well as their ancient equivalents such as Democritus) asserts that sensory impressions are the only available starting points for reasoning and attempting to attain truth. This approach always leads to the controversial conclusion that absolute knowledge is not attainable. Idealism, (associated with Plato and his school), claims that there is a "higher" reality, from which certain people can directly arrive at truth without needing to rely only upon the senses, and that this higher reality is therefore the primary source of truth. Philosophers such as Plato, Aristotle, Al-Farabi, Avicenna, Averroes, Maimonides, Aquinas and Hegel are sometimes said to have argued that reason must be fixed and discoverable—perhaps by dialectic, analysis, or study. In the vision of these thinkers, reason is divine or at least has divine attributes. Such an approach allowed religious philosophers such as Thomas Aquinas and Étienne Gilson to try to show that reason and revelation are compatible. According to Hegel, "...the only thought which Philosophy brings with it to the contemplation of History, is the simple conception of reason; that reason is the Sovereign of the World; that the history of the world, therefore, presents us with a rational process." Since the 17th century rationalists, reason has often been taken to be a subjective faculty, or rather the unaided ability (pure reason) to form concepts. For Descartes, Spinoza and Leibniz, this was associated with mathematics. Kant attempted to show that pure reason could form concepts (time and space) that are the conditions of experience. Kant made his argument in opposition to Hume, who denied that reason had any role to play in experience. After Plato and Aristotle, western literature often treated reason as being the faculty that trained the passions and appetites. Stoic philosophy by contrast considered all passions undesirable. After the critiques of reason in the early Enlightenment the appetites were rarely discussed or conflated with the passions. Some Enlightenment camps took after the Stoics to say Reason should oppose Passion rather than order it, while others like the Romantics believed that Passion displaces Reason, as in the maxim "follow your heart". Reason has been seen as a slave, or judge, of the passions, notably in the work of David Hume, and more recently of Freud. Reasoning which claims that the object of a desire is demanded by logic alone is called rationalization. Rousseau first proposed, in his second Discourse, that reason and political life is not natural and possibly harmful to mankind. He asked what really can be said about what is natural to mankind. What, other than reason and civil society, "best suits his constitution"? Rousseau saw "two principles prior to reason" in human nature. First we hold an intense interest in our own well-being. Secondly we object to the suffering or death of any sentient being, especially one like ourselves. These two passions lead us to desire more than we could achieve. We become dependent upon each other, and on relationships of authority and obedience. This effectively puts the human race into slavery. Rousseau says that he almost dares to assert that nature does not destine men to be healthy. According to Velkley, "Rousseau outlines certain programs of rational self-correction, most notably the political legislation of the Contrat Social and the moral education in Émile. All the same, Rousseau understands such corrections to be only ameliorations of an essentially unsatisfactory condition, that of socially and intellectually corrupted humanity." This quandary presented by Rousseau led to Kant's new way of justifying reason as freedom to create good and evil. These therefore are not to be blamed on nature or God. In various ways, German Idealism after Kant, and major later figures such Nietzsche, Bergson, Husserl, Scheler, and Heidegger, remain preoccupied with problems coming from the metaphysical demands or urges of reason. The influence of Rousseau and these later writers is also large upon art and politics. Many writers (such as Nikos Kazantzakis) extol passion and disparage reason. In politics modern nationalism comes from Rousseau's argument that rationalist cosmopolitanism brings man ever further from his natural state. Another view on reason and emotion was proposed in the 1994 book titled Descartes' Error by Antonio Damasio. In it, Damasio presents the "Somatic Marker Hypothesis" which states that emotions guide behavior and decision-making. Damasio argues that these somatic markers (known collectively as "gut feelings") are "intuitive signals" that direct our decision making processes in a certain way that cannot be solved with rationality alone. Damasio further argues that rationality requires emotional input in order to function. There are many religious traditions, some of which are explicitly fideist and others of which claim varying degrees of rationalism. Secular critics sometimes accuse all religious adherents of irrationality, since they claim such adherents are guilty of ignoring, suppressing, or forbidding some kinds of reasoning concerning some subjects (such as religious dogmas, moral taboos, etc.). Though the theologies and religions such as classical monotheism typically do not claim to be irrational, there is often a perceived conflict or tension between faith and tradition on the one hand, and reason on the other, as potentially competing sources of wisdom, law and truth. Reconciliation: Philosopher Alvin Plantinga argues that there is no real conflict between reason and classical theism because classical theism explains (among other things) why the universe is intelligible and why reason can successfully grasp it. Non-overlapping magisteria: Evolutionary biologist Stephen Jay Gould argues that there need not be conflict between reason and religious belief because they are each authoritative in their own domain (or "magisterium"). For example, perhaps reason alone is not enough to explain such big questions as the origins of the universe, the origin of life, the origin of consciousness, the foundation of morality, or the destiny of the human race. If so, reason can work on those problems over which it has authority while other sources of knowledge or opinion can have authority on the big questions. Tu quoque: Philosophers Alasdair MacIntyre and Charles Taylor argue that those critics of traditional religion who are adherents of secular liberalism are also sometimes guilty of ignoring, suppressing, and forbidding some kinds of reasoning about subjects. Similarly, philosophers of science such as Paul Feyaraband argue that scientists sometimes ignore or suppress evidence contrary to the dominant paradigm. Unification: Theologian Joseph Ratzinger, later Benedict XVI, asserted that "Christianity has understood itself as the religion of the Logos, as the religion according to reason," referring to John 1:Ἐν ἀρχῇ ἦν ὁ λόγος, usually translated as "In the beginning was the Word (Logos)." Thus, he said that the Christian faith is "open to all that is truly rational", and that the rationality of Western Enlightenment "is of Christian origin". Some commentators have claimed that Western civilization can be almost defined by its serious testing of the limits of tension between "unaided" reason and faith in "revealed" truths—figuratively summarized as Athens and Jerusalem, respectively. Leo Strauss spoke of a "Greater West" that included all areas under the influence of the tension between Greek rationalism and Abrahamic revelation, including the Muslim lands. He was particularly influenced by the great Muslim philosopher Al-Farabi. To consider to what extent Eastern philosophy might have partaken of these important tensions, Strauss thought it best to consider whether dharma or tao may be equivalent to Nature (by which we mean physis in Greek). According to Strauss the beginning of philosophy involved the "discovery or invention of nature" and the "pre-philosophical equivalent of nature" was supplied by "such notions as 'custom' or 'ways'", which appear to be really universal in all times and places. The philosophical concept of nature or natures as a way of understanding archai (first principles of knowledge) brought about a peculiar tension between reasoning on the one hand, and tradition or faith on the other. Although there is this special history of debate concerning reason and faith in the Islamic, Christian and Jewish traditions, the pursuit of reason is sometimes argued to be compatible with the other practice of other religions of a different nature, such as Hinduism, because they do not define their tenets in such an absolute way. The concept of human nature being fixed in this way, implied, in other words, that we can define what type of community is always best for people. This argument has remained a central argument in all political, ethical and moral thinking since then, and has become especially controversial since firstly Rousseau's Second Discourse, and secondly, the Theory of Evolution. Already in Aristotle there was an awareness that the polis had not always existed and had needed to be invented or developed by humans themselves. The household came first, and the first villages and cities were just extensions of that, with the first cities being run as if they were still families with Kings acting like fathers. Rousseau in his Second Discourse finally took the shocking step of claiming that this traditional account has things in reverse: with reason, language and rationally organized communities all having developed over a long period of time merely as a result of the fact that some habits of cooperation were found to solve certain types of problems, and that once such cooperation became more important, it forced people to develop increasingly complex cooperation—often only to defend themselves from each other. In other words, according to Rousseau, reason, language and rational community did not arise because of any conscious decision or plan by humans or gods, nor because of any pre-existing human nature. As a result, he claimed, living together in rationally organized communities like modern humans is a development with many negative aspects compared to the original state of man as an ape. If anything is specifically human in this theory, it is the flexibility and adaptability of humans. This view of the animal origins of distinctive human characteristics later received support from Charles Darwin's Theory of Evolution. The two competing theories concerning the origins of reason are relevant to political and ethical thought because, according to the Aristotelian theory, a best way of living together exists independently of historical circumstances. According to Rousseau, we should even doubt that reason, language and politics are a good thing, as opposed to being simply the best option given the particular course of events that lead to today. Rousseau's theory, that human nature is malleable rather than fixed, is often taken to imply, for example by Karl Marx, a wider range of possible ways of living together than traditionally known. However, while Rousseau's initial impact encouraged bloody revolutions against traditional politics, including both the French Revolution and the Russian Revolution, his own conclusions about the best forms of community seem to have been remarkably classical, in favor of city-states such as Geneva, and rural living. Scientific research into reasoning is carried out within the fields of psychology and cognitive science. Psychologists attempt to determine whether or not people are capable of rational thought in a number of different circumstances. Assessing how well someone engages in reasoning is the project of determining the extent to which the person is rational or acts rationally. It is a key research question in the psychology of reasoning. Rationality is often divided into its respective theoretical and practical counterparts. Experimental cognitive psychologists carry out research on reasoning behaviour. Such research may focus, for example, on how people perform on tests of reasoning such as intelligence or IQ tests, or on how well people's reasoning matches ideals set by logic (see, for example, the Wason test). Experiments examine how people make inferences from conditionals e.g., If A then B and how they make inferences about alternatives, e.g., A or else B. They test whether people can make valid deductions about spatial and temporal relations, e.g., A is to the left of B, or A happens after B, and about quantified assertions, e.g., All the A are B. Experiments investigate how people make inferences about factual situations, hypothetical possibilities, probabilities, and counterfactual situations. Developmental psychologists investigate the development of reasoning from birth to adulthood. Piaget's theory of cognitive development was the first complete theory of reasoning development. Subsequently, several alternative theories were proposed, including the neo-Piagetian theories of cognitive development. The biological functioning of the brain is studied by neurophysiologists and neuropsychologists. Research in this area includes research into the structure and function of normally functioning brains, and of damaged or otherwise unusual brains. In addition to carrying out research into reasoning, some psychologists, for example, clinical psychologists and psychotherapists work to alter people's reasoning habits when they are unhelpful. In artificial intelligence and computer science, scientists study and use automated reasoning for diverse applications including automated theorem proving the formal semantics of programming languages, and formal specification in software engineering. Meta-reasoning is reasoning about reasoning. In computer science, a system performs meta-reasoning when it is reasoning about its own operation. This requires a programming language capable of reflection, the ability to observe and modify its own structure and behaviour. A species could benefit greatly from better abilities to reason about, predict and understand the world. French social and cognitive scientists Dan Sperber and Hugo Mercier argue that there could have been other forces driving the evolution of reason. They point out that reasoning is very difficult for humans to do effectively, and that it is hard for individuals to doubt their own beliefs (confirmation bias). Reasoning is most effective when it is done as a collective – as demonstrated by the success of projects like science. They suggest that there are not just individual, but group selection pressures at play. Any group that managed to find ways of reasoning effectively would reap benefits for all its members, increasing their fitness. This could also help explain why humans, according to Sperber, are not optimized to reason effectively alone. Their argumentative theory of reasoning claims that reason may have more to do with winning arguments than with the search for the truth. Outline of thought – topic tree that identifies many types of thoughts/thinking, types of reasoning, aspects of thought, related fields, and more. ^ Kompridis, Nikolas (2000). "So We Need Something Else for Reason to Mean". International Journal of Philosophical Studies. 8 (3): 271–295. doi:10.1080/096725500750039282. ^ individuals, for example, "humans have reason." Compare: MacIntyre, Alasdair (2013). Dependent Rational Animals: Why Human Beings Need the Virtues. The Paul Carus Lectures. Open Court. ISBN 978-0-8126-9705-6. Retrieved 2014-12-01. [...] the exercise of independent practical reasoning is one essential constituent to full human flourishing. ^ Hintikka, J. "Philosophy of logic". Encyclopædia Britannica. Encyclopædia Britannica, Inc. Retrieved 12 November 2013. ^ Michel Foucault, "What is Enlightenment?" in The Essential Foucault, eds. Paul Rabinow and Nikolas Rose, New York: The New Press, 2003, 43–57. See also Nikolas Kompridis, "The Idea of a New Beginning: A Romantic Source of Normativity and Freedom," in Philosophical Romanticism, New York: Routledge, 2006, 32–59; "So We Need Something Else for Reason to Mean", International Journal of Philosophical Studies 8: 3, 271–295. ^ Liddell, Henry George; Scott, Robert, "logos", A Greek–English Lexicon . For etymology of English "logic" see any dictionary such as the Merriam Webster entry for logic. ^ See Merriam Webster "rational" and Merriam Webster "reasonable". ^ a b Habermas, Jürgen (1990). The Philosophical Discourse of Modernity. Cambridge, MA: MIT Press. ^ Kirk; Raven; Schofield (1983), The Presocratic Philosophers (second ed. ), Cambridge University Press . See pp. 204 & 235. ^ Nicomachean Ethics Book 1. ^ a b Davidson, Herbert (1992), Alfarabi, Avicenna, and Averroes, on Intellect, Oxford University Press , p. 3. ^ Dreyfus, Hubert. "Telepistemology: Descartes' Last Stand". socrates.berkeley.edu. Retrieved February 23, 2011. ^ Hobbes, Thomas (1839), Molesworth (ed. ), De Corpore, London, J. Bohn : "We must not therefore think that computation, that is, ratiocination, has place only in numbers, as if man were distinguished from other living creatures (which is said to have been the opinion of Pythagoras) by nothing but the faculty of numbering; for magnitude, body, motion, time, degrees of quality, action, conception, proportion, speech and names (in which all the kinds of philosophy consist) are capable of addition and substraction [sic]. Now such things as we add or substract, that is, which we put into an account, we are said to consider, in Greek λογίζεσθαι [logizesthai], in which language also συλλογίζεσθι [syllogizesthai] signifies to compute, reason, or reckon." ^ Immanuel Kant, Critique of Pure Reason; Critique of Practical Reason. ^ Michael Sandel, Justice: What's the Right Thing to Do?, New York: Farrar, Straus and Giroux, 2009. ^ Kant, Immanuel; translated by James W. Ellington  (1993). Grounding for the Metaphysics of Morals 3rd ed. Hackett. p. 30. ISBN 978-0-87220-166-8. ^ See Velkley, Richard (2002), "On Kant's Socratism", Being After Rousseau, University of Chicago Press and Kant's own first preface to The Critique of Pure Reason. ^ Jürgen Habermas, Moral Consciousness and Communicative Action, Cambridge, MA: MIT Press, 1995. ^ Jürgen Habermas, The Theory of Communicative Action: Reason and the Rationalization of Society, translated by Thomas McCarthy. Boston: Beacon Press, 1984. ^ Nikolas Kompridis, Critique and Disclosure: Critical Theory between Past and Future, Cambridge, MA: MIT Press, 2006. See also Nikolas Kompridis, "So We Need Something Else for Reason to Mean", International Journal of Philosophical Studies 8:3, 271–295. ^ Charles Taylor, Philosophical Arguments (Harvard University Press, 1997), 12; 15. ^ Michel Foucault, "What is Enlightenment? ", The Essential Foucault, New York: The New Press, 2003, 43–57. ^ See this Perseus search, and compare English translations. and see LSJ dictionary entry for λογικός, section II.2.b. ^ See the Treatise of Human Nature of David Hume, Book I, Part III, Sect. XVI. ^ Leviathan Chapter IV Archived 2006-06-15 at the Wayback Machine: "The Greeks have but one word, logos, for both speech and reason; not that they thought there was no speech without reason, but no reasoning without speech"
^ See for example Ruth M.J. Byrne (2005). The Rational Imagination: How People Create Counterfactual Alternatives to Reality. Cambridge, MA: MIT Press. ^ Mimesis in modern academic writing, starting with Erich Auerbach, is a technical word, which is not necessarily exactly the same in meaning as the original Greek. See Mimesis. ^ Davis is here using "poetic" in an unusual sense, questioning the contrast in Aristotle between action (praxis, the praktikē) and making (poēsis, the poētikē): "Human [peculiarly human] action is imitation of action because thinking is always rethinking. Aristotle can define human beings as at once rational animals, political animals, and imitative animals because in the end the three are the same." ^ Aristotle On Memory 450a 15–16. ^ Aristotle Hist. Anim. I.1.488b.25–26. ^ Jeffrey, Richard. 1991. Formal logic: its scope and limits, (3rd ed.). New York: McGraw-Hill:1. ^ Walton, Douglas N. (2014). "Argumentation schemes for argument from analogy". In Ribeiro, Henrique Jales (ed.). Systematic approaches to argument by analogy. Argumentation library. 25. Cham; New York: Springer Verlag. pp. 23–40. doi:10.1007/978-3-319-06334-8_2. ISBN 978-3-319-06333-1. OCLC 884441074. ^ Vickers, John (2009). "The Problem of Induction". The Stanford Encyclopedia of Philosophy. Metaphysics Research Lab, Stanford University. ^ Example: Aristotle Metaphysics 981b: τὴν ὀνομαζομένην σοφίαν περὶ τὰ πρῶτα αἴτια καὶ τὰς ἀρχὰς ὑπολαμβάνουσι πάντες: ὥστε, καθάπερ εἴρηται πρότερον, ὁ μὲν ἔμπειρος τῶν ὁποιανοῦν ἐχόντων αἴσθησιν εἶναι δοκεῖ σοφώτερος, ὁ δὲ τεχνίτης τῶν ἐμπείρων, χειροτέχνου δὲ ἀρχιτέκτων, αἱ δὲ θεωρητικαὶ τῶν ποιητικῶν μᾶλλον. English: "...what is called Wisdom is concerned with the primary causes and principles, so that, as has been already stated, the man of experience is held to be wiser than the mere possessors of any power of sensation, the artist than the man of experience, the master craftsman than the artisan; and the speculative sciences to be more learned than the productive." ^ Metaphysics 1009b ποῖα οὖν τούτων ἀληθῆ ἢ ψευδῆ, ἄδηλον: οὐθὲν γὰρ μᾶλλον τάδε ἢ τάδε ἀληθῆ, ἀλλ᾽ ὁμοίως. διὸ Δημόκριτός γέ φησιν ἤτοι οὐθὲν εἶναι ἀληθὲς ἢ ἡμῖν γ᾽ ἄδηλον. English "Thus it is uncertain which of these impressions are true or false; for one kind is no more true than another, but equally so. And hence Democritus says that either there is no truth or we cannot discover it." ^ For example Aristotle Metaphysics 983a: ἐπεὶ δὲ φανερὸν ὅτι τῶν ἐξ ἀρχῆς αἰτίων δεῖ λαβεῖν ἐπιστήμην （τότε γὰρ εἰδέναι φαμὲν ἕκαστον, ὅταν τὴν πρώτην αἰτίαν οἰώμεθα γνωρίζειν） English "It is clear that we must obtain knowledge of the primary causes, because it is when we think that we understand its primary cause that we claim to know each particular thing." ^ Example: Nicomachean Ethics 1139b: ἀμφοτέρων δὴ τῶν νοητικῶν μορίων ἀλήθεια τὸ ἔργον. καθ᾽ ἃς οὖν μάλιστα ἕξεις ἀληθεύσει ἑκάτερον, αὗται ἀρεταὶ ἀμφοῖν. English The attainment of truth is then the function of both the intellectual parts of the soul. Therefore their respective virtues are those dispositions that will best qualify them to attain truth. ^ Example: Plato Republic 490b: μιγεὶς τῷ ὄντι ὄντως, γεννήσας νοῦν καὶ ἀλήθειαν, γνοίη English: "Consorting with reality really, he would beget intelligence and truth, attain to knowledge"
^ "This quest for the beginnings proceeds through sense perception, reasoning, and what they call noesis, which is literally translated by "understanding" or intellect," and which we can perhaps translate a little bit more cautiously by "awareness," an awareness of the mind's eye as distinguished from sensible awareness." "Progress or Return" in An Introduction to Political Philosophy: Ten Essays by Leo Strauss. (Expanded version of Political Philosophy: Six Essays by Leo Strauss, 1975.) Ed. Hilail Gilden. Detroit: Wayne State UP, 1989. ^ However, the empiricism of Aristotle must certainly be doubted. For example in Metaphysics 1009b, cited above, he criticizes people who think knowledge might not be possible because, "They say that the impression given through sense-perception is necessarily true; for it is on these grounds that both Empedocles and Democritus and practically all the rest have become obsessed by such opinions as these." ^ Dawkins, Richard (2008). The God Delusion (Reprint ed.). Mariner Books. ISBN 978-0-618-91824-9. Scientists... see the fight for evolution as only one battle in a larger war: a looming war between supernaturalism on the one side and rationality on the other. ^ Plantinga, Alvin (2011). Where the Conflict Really Lies: Science, Religion, and Naturalism (1 ed.). Oxford University Press. ISBN 978-0-19-981209-7. ^ Natural Signs and Knowledge of God: A New Look at Theistic Arguments (Reprint ed.). Oxford: Oxford University Press. 2012. ISBN 978-0-19-966107-7. ^ Stephen Ja Gould (1997). "Nonoverlapping Magisteria". www.stephenjaygould.org. Retrieved 2016-04-06. To say it for all my colleagues and for the umpteenth millionth time (from college bull sessions to learned treatises): science simply cannot (by its legitimate methods) adjudicate the issue of God's possible superintendence of nature. We neither affirm nor deny it; we simply can't comment on it as scientists. ^ Dawkins, Richard (2008). "4". The God Delusion (Reprint ed.). Mariner Books. ISBN 978-0-618-91824-9. This sounds terrific, right up until you give it a moment's thought. You then realize that the presence of a creative deity in the universe is clearly a scientific hypothesis. Indeed, it is hard to imagine a more momentous hypothesis in all of science. A universe with a god would be a completely different kind of universe from one without, and it would be a scientific difference. God could clinch the matter in his favour at any moment by staging a spectacular demonstration of his powers, one that would satisfy the exacting standards of science. Even the infamous Templeton Foundation recognized that God is a scientific hypothesis — by funding double-blind trials to test whether remote prayer would speed the recovery of heart patients. It didn't, of course, although a control group who knew they had been prayed for tended to get worse (how about a class action suit against the Templeton Foundation?) Despite such well-financed efforts, no evidence for God's existence has yet appeared. ^ Moreland, J.P. "Consciousness and the Existence of God: A Theistic Argument". Routledge. Retrieved 2016-04-06. ^ "The Meaning of Life as Narrative: A New Proposal for Interpreting Philosophy's 'Primary' Question – Joshua W. Seachris – Philo (Philosophy Documentation Center)". www.pdcnet.org. April 2009. Retrieved 2016-04-06. ^ Three Rival Versions of Moral Enquiry: Encyclopaedia, Genealogy, and Tradition (60067th ed.). University of Notre Dame Press. 1991. ISBN 978-0-268-01877-1. ^ Taylor, Charles (2007). A Secular Age (1st ed.). The Belknap Press of Harvard University Press. ISBN 978-0-674-02676-6. ^ "Cardinal Ratzinger on Europe's Crisis of Culture". ^ When Athens Met Jerusalem: An Introduction to Classical and Christian Thought (58760th ed.). IVP Academic. 2009. ISBN 978-0-8308-2923-1. ^ Shestov, Lev (1968). "Athens and Jerusalem". Annals of the New York Academy of Sciences. 950 (1): 17. Bibcode:2001NYASA.950...17P. doi:10.1111/j.1749-6632.2001.tb02124.x. ^ "Progress or Return" in An Introduction to Political Philosophy: Ten Essays by Leo Strauss. (Expanded version of Political Philosophy: Six Essays by Leo Strauss, 1975.) Ed. Hilail Gilden. Detroit: Wayne State UP, 1989. ^ Bhagavad Gita, Sarvepalli Radhakrishnan: "Hinduism is not just a faith. It is the union of reason and intuition that can not be defined but is only to be experienced." ^ Demetriou, A. (1998). Cognitive development. In A. Demetriou, W. Doise, K.F.M. van Lieshout (Eds. ), Life-span developmental psychology (pp. 179–269). London: Wiley. ^ Mercier, Hugo; Sperber, Dan (2011). "Why Do Humans Reason? Arguments for an Argumentative Theory". Behavioral and Brain Sciences. 34 (2): 57–74. doi:10.1017/S0140525X10000968. PMID 21447233. ^ Mercier, Hugo; Sperber, Dan (2017). The Enigma of Reason. Cambridge: Harvard University Press. ISBN 978-0-674-36830-9. Look up reason in Wiktionary, the free dictionary. Beer, Francis A., "Words of Reason", Political Communication 11 (Summer, 1994): 185–201. Tripurari, Swami, On Faith and Reason, The Harmonist, May 27, 2009.